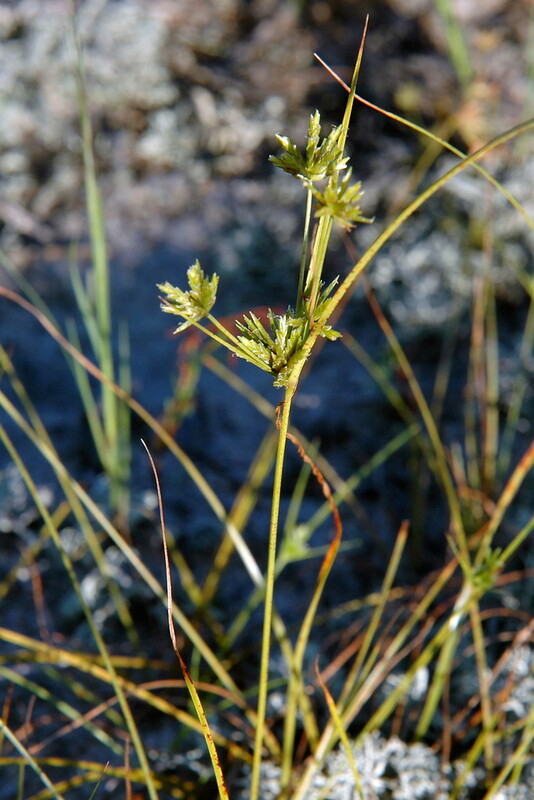 Cyperus grayi.By Ben Kimball. Copyright © 2015 Ben Kimball.New England Wild Flower Society.gobotany.newenglandwild.org (accessed 4/2014). Cyperus grayi is a perennial C4 sedge (Li et al. 1999), with basal corms from a hard rhizome, stems tufted, very tough, smooth, to 40 cm. Leaves folded, stiff, shorter than wiry stems. Fruit an achene 3-sided, to 0.2 cm, sides flat; blooms and fruits July-Oct.
Habitat: Dry, sandy soil or fill, open areas, beaches.